Are your kitchen cabinets showing signs of wear? 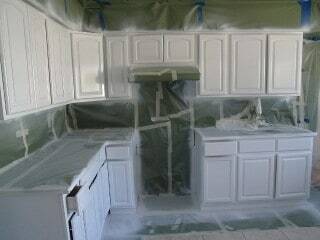 Restore the original life and luster of your cabinets and appliances with kitchen cabinet reglazing services from Glaze-Tec Bathtub Refinishing in Mastic, New York. Whether your cabinets are outdated or you are simply unhappy with the existing color, Glaze-Tec Bathtub Refinishing is here to help. 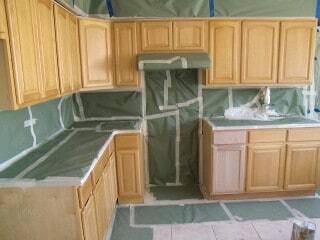 We save you thousands of dollars by refinishing your existing cabinets with our Cabinet Kote Chemical Finish. Unlimited color choices are available, along with your choice of either a flat, satin, or high-gloss finish. Cabinet Kote is an easy-to-clean, high-luster, and chip-resistant chemical finish. It is available at an affordable price when compared to the high costs of demolition and replacement. We cannot stress enough how important it is to always check licenses before having any company perform work in your home. It is required under law by Suffolk and Nassau County that all contractors must be licensed and insured. Unlicensed and inexperienced contractors can also cause serious damage to your home and create costly repairs. Contact our bathtub refinishing company in Suffolk, New York, to transform the look of your cabinets.